John Flower Crombie D.F.C. was born on 22 January 1914 in Kirkston, Albion, Brisbane.1,2 He was the son of James Crombie and Amy Gladys Kirk Flower. He was a grazier. Member RAAF in 2nd World War. John Flower Crombie D.F.C. married secondly Betty Phyllis Deshon in 1954. [S205] Newspaper, The Argus, 17 February 1914. Kathleen Constance Crombie was born on 30 June 1912 in Swift Current, Saskatchewan.2,3 She was the daughter of William Claude David Crombie and Edith Mary Lawrence.1 Kathleen Constance Crombie died in 1942. [S117] The Times Newspaper, Jul 29, 1912. [S205] Newspaper, The Brisbane Courier, 4 April 1879. [S232] Ancestry.com, Fife, Scotland, Cupar Library Newspaper Index Cards, 1833-1987 in East Fife Record, 18 August 1876, p. 2. Margaret Beatrice Crombie was born on 6 February 1880 in William Street, Brisbane.2 She was the daughter of James Crombie and Isabella Harriett Cameron.1 Margaret Beatrice Crombie married Percy Lloyd Hart, son of Graham Lloyd Hart and Sarah Ellen Cooper Roberts, on 12 July 1904 in Queensland.3 Margaret Beatrice Crombie was living in 90 Oriel Road, Brisbane. She died on 17 July 1965 in Queensland at the age of 85. [S205] Newspaper, The Brisbane Courier, 10 February 1880. The wedding of Mr. Charles Constantine Warren, third son of the late James Warren, of Garrendenny, Queen's County, Ireland, to Miss Mary Edith Crombie was celebrated in the Wickham-terrace Presbyterian Church yesterday afternoon, by the Rev. W. Sweyn Macqueen. The bride is the youngest daughter of the late William Crombie, of Greenhills station, Muttaburra. Her father was born in Fifeshire, and educated at St Andrews, in that county. He arrived in Victoria about the year 1863, and joined his brother, the late James Crombie, M. L. A. for the Warrego, in farming pursuits in the State. He came to Queensland in 1863, and joined with his brother and the late D.C. Cameron in the purchase of Barcaldine Downs station. Mrs William Crombie was a daughter of the late D.C. Cameron, and sister of Mr. John Cameron, of Kensington Downs, and now member for Brisbane North. The friends of the bride had decorated the alter rails with a profusion of white flowers, and a large floral wedding-bell was suspended over the bride and bridegroom. Mr. C.H. Allan presided at the organ. The young bride was given away by her aunt, Mrs. James Crombie, and looked very handsome in her beautiful wedding gown of cream brocaded merv, the long-trained skirt frilled at the foot with delicate embossed lisse, a scroll pattern of narrow chiffon ruchings relieving the plain sheath like effect. The sleeves were of transparent embossed chiffon, and the yoke of the same delicate fabric, swathed lightly with a chiffon fichu, upon which a long spray of orange blossoms rested; long stole ends of gathered chiffon completed the good effect. The veil of embossed tulle was worn with a coronet of bridal flowers, and her shower bouquet and diamond bangle and brooch were the gifts of the bridegroom. Two sisters and two cousins attended as bridesmaids - the Misses May, Janet, Jessie, and Beatrice Crombie. The bridegroom was attended by Mr. J.E. Trude as best man and by Messrs. Hart, Crombie, and Crouch as groomsmen. Her bridesmaids looked very charming in their simple white flocks of fine Persian lawn, the tucked frille on the foot of the skirt edged with lace, wide insertions of Mechlin lace adorning the upper part in tunic design; the bodices were inserted with the same beautiful lace, a full jabot ornamenting the front; folded white chiffon fichus gave a finishing touch to the pretty costumes. The hats were not similar, but showed characteristic touches of colour. Miss Crombie's white crinoline hat had a beefeater crown swathed in white tulle over geranium foliage and buds, a butterfly bow of pink satin ribbon in front and geraniums on the hair. Miss Jessie Crombie's toque is of white chiffon under gold bullion, the crown formed of large pink roses with diamond centres and foliage, choux of pink and white ribbon in front. Miss Janet's picture hat had the crown of white satin straw, a brim of pink rose petals over white chiffon underbrim, butterfly bow of white glace and steel buckle. Miss Beatrice's hat was of fancy straw flared from the face and lined with white tulle. A scarf of white tulle was thrown lightly over a trail of large white marguerites, a jet buckle and rosette of pink ribbon rested on the coiffure. The bridesmaids carried posies of pink and red roses, pink carnations, and foliage, tied with pink satin loops and streamers, which, together with their "Nellie Stewart" bangles, were presents from the bridegroom. Their pearl and turquoise brooches were presented by the bride. Mrs Crombie, aunt of the bride, wore a rich-looking gown of black matelasse silk outlined with narrow steel fringe, opening over a vest of tucked white chiffon, the under skirt of black satin was closely ornamented with black guipure; her black bonnet of jet and fisher's net was relieved by a touch of silver. Mrs. Cameron, of Fairholme, Toowoomba, the stately grandmother of the bride, wore a black Princess robe appliqued with guipure and lace, and a beautiful cream guipure collarette, showing black sequins, and a small black bonnet to harmonise. Mrs. Sword aunt of the bride, was in French gray voile, opening over a pink chiffon vest; her becoming black and white straw hat was swathed in black Chantilly lace over white tulle; deep red and pink roses made a pretty contrast to the blue gown Mrs. Beauchamp Cameron's stylish gown was of cobalt blue voile, the Venetian sleeves slashed with white silk and white guipure, the three flounces on the skirt strapped with blue stitched glace; her black fancy straw hat was lined with pink chiffon, trimmed with black tulle and sequinned net, sprays of pink cluster roses. Mr. and Mrs. Heussler were among the guests, their daughter (Mrs John Cameron) looking very nice in mauve silk, patterned in corded stripers, the bodice appliqued in a deeper shade and worn with a violet velvet belt, which colour was repeated on the white fancy straw hat, which was swathed in mauve spotted tulle. Mrs. Bailey, sister of the bridegroom, was in a stylish gray gown outlined with cream guipure; her hat was swathed tulle and garlanded with bright flowers. Mrs. Graham Hart and her daughters were among the guests, Miss Kathleen in a pretty white lawn, the trained skirt inserted with black lace; black Leghorn hat and plumes. Miss Mildred wore a very becoming flat hat in bright magenta-pink, with her soft white gown. Mrs William Graham and her daughters made another family group, Mrs Carew-Smyth wearing cream veiling and a white glace silk blouse minutely corded and tucked, and one of the new flat double-leafed hats swathed in white tulle, the brim garlanded with daisies. Miss Graham, Miss M. Stewart-Graham, and Miss Hassall were in their bridesmaid's dresses worn at Mrs. Carew Smyth's wedding. Mrs. Milman, in handsome black costume and cream duchesse lace, was accompanied by her daughters Miss Milman wearing a bright pink floral muslin, and fawn chiffon hat with gold tracing of floral ornamentation; her sister, in a very pretty grown of transparent white mousseline de soie, much inserted with lace, over very pale blue glace silk. Mrs. A. McDowall was accompanied by her son, Mr. V. McDowall; her pretty gown of white floral patterned foulard was strapped and tabbed with mauve glace, her small Princess bonnet harmonised in touches of pink and green with the colours of the gown. Mrs. A.J. Callan had a handsome gown of black grosgrain, much tucked and corded, the bolero being of Russian net applique; her black jetted bonnet was brightened with cut-steel buckles. Miss May Goggs wore a floral muslin, the triple deep flounces outlined with scarlet; a flat chiffon hat, with triple-frilled brim outlined with black bebe velvet and sprays of flowers and foliage. Mrs. Macqueen's elegant trained gown of black merv. was closely tucked and inserted with cream guipure; her becoming hat in the new flat shape, had the brim garlanded with purple orchids. Miss Macintosh had a very pretty gown in pastel-green-shade, the skirt prettily frilled with embroidered lisse; her rustic straw hat was garlanded with roses. Mrs. Hardie looked well in blue glace, veiled in white net applique; and toque of fancy straw, ornamented with blue glace and pink roses. After the ceremony the guests, who were chiefly relatives and very old friends of the family, were entertained by Mrs. James Crombie at Oriel, Albion, where the wedding breakfast was served in Eachenhagen's best style, who also furnished the handsome wedding cake. As an old friend of the family, the Hon. A.J. Callan was privileged to propose the health of the bride. In returning thanks, the bridegroom proposed the health of the bridesmaids to which Mr Trude responded. The Rev. Sweyn Macqueen proposed the health of Mrs Cameron the grandmother of the bride, to which her son, Mr John Cameron, made a happy response. Dr. Hardie proposed the health of Mrs James Crombie, her son, Mr Donald Crombie, responding. Mr and Mrs Warren will make a trip to the South and will visit Tasmania and New Zealand. The bride travelled in a pretty blue gown of satin spotted canvas, appliqued with cream guipure, the stylish little bolero having deep revers of cream satin veiled in cream guipure, her becoming pink straw hat was turned off the face, with under-brim of tucked white chiffon draped with embroidered lisse, large pale pink and blue roses nestled on the hair and the whole was toned with a band of black velvet round the crown, fastened with a diamond ornament. The presents were numerous and much admired. Cheques were sent by Mr. and Mrs. Sword, Mr. J. Cameron, Mr. and Mrs. W. Cameron, Mr. D. C. K. Cameron, Dr. Warren (brother of the bridegroom), Mrs. Cameron, Mr. and Mrs. Beauchamp Cameron, Mr. Crombie, Mrs. Bridges. Other donors of presents were: The Misses and Master Sword, Messrs. J. C. Cameron-Crombie, D. W. A. Crombie, W. D. Crombie, James Crombie, Mr. Percy Hart, Mrs. Hart, Mrs. Heussler, Miss and Mr. Bernays, Mr. and Mrs. W. Johnston, Mr. Walker, Dr. and Mrs. Gibson, Mr. A. A. Donaldson, Miss Ford, Mrs. and Miss Avery, Misses Townley, Mrs. Hassell, Miss Hassell, Mr. Rex. Kennedy, Mr. Max. Graham, Miss Meta Cameron, Mr. Thornton, Misses and Master Cameron. Mr. and Mrs. Bailey, Mrs Lawrence, Dr. and Mrs. Berry, Mr. J. E. Trude, Miss Nicholson, Miss R. Nicholson, Mrs. J. Cameron, Dr. and Mrs. Hardie, Mr. L. H .C. Morgan, Mrs. Rendall, Mrs. Milman, Mrs. Edkins, Rev. and Mrs. Macqueen, Mr. Bright, Mr. Power, Miss May Goggs, Miss Mollie Graham, Percy Cameron, Miss Macdiarmid, Miss Macdonald, Miss E. Milman, Miss Munro, Miss Abercrombie, Mr. and Mrs. W. Cameron, Mr. F. Nicholson, Mr. and Mrs. H. Robinson, Miss L. Grant, Mr. and Mrs. McDowall, Mr and Mrs Miles, Mr. and Misses Macintosh, Mr. Wallace, Mrs Carew Smyth, Mr. Val. McDowall, Mr Wardrop Hill, Miss and Master Miles, Miss Dobinson, Miss Gibson, Miss Foxton, Miss Hart. [S205] Newspaper, Queensland Figaro, 26 September 1901. [S205] Newspaper, he Argus, 19 July 1869. Sgt. Mervyn Cobbe Crombie who was also known as "Peak" Crombie.1 He was born on 26 May 1920.2 He was the son of David William Alexander Crombie and Phoebe Janet Arbuthnot. Sgt. Mervyn Cobbe Crombie died on 12 June 1941 in Ismalia, Egypt, at the age of 21 killed in an aircraft accident whilst serving in the R.A.A.F.3 He was buried in 6. E. 2. Ismailia War Memorial Cemetery, Egypt. [S47] James Cameron & Archer, Sarah Beatrice Cameron Crombie, The Crombies and Camerons, p. 67. Mildred Judith Cameron Crombie was born on 24 June 1909 in Brisbane. 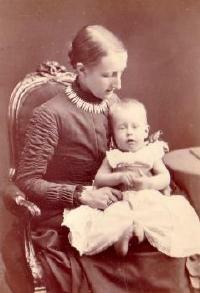 She was the daughter of Donald Charles Cameron Crombie and Mildred Ida Lloyd Hart. Mildred Judith Cameron Crombie died on 13 May 1936 in Brisbane at the age of 26. Sarah Beatrice Cameron (Sal) Crombie was born on 5 March 1907 in Indooroopilly. She was the daughter of Donald Charles Cameron Crombie and Mildred Ida Lloyd Hart. Sarah Beatrice Cameron (Sal) Crombie married Sir Archibald A. Archer K.C., C.M.G., son of Robert Stubbs Archer and Alice Marie Marwedel, on 17 August 1930 in Greenhills Homestead. Major William Claude David Crombie was The Shipping Federation's labour manager. A farmer from Saskatchewan, member of the 27th Light Horse based in Moose Jaw, and a veteran of the Great War, Crombie was hired by waterfront employers right after the war to look after 'protection and protective measures' during the tumultuous days of the national labour revolt. During the 1923 strike, he was the personal driver and bodyguard for several members of the Shipping Federation and, at the tail end of the fifty-three day conflict, 'took over the employment end of the game' as despatcher. A year later he was promoted to labour manager, a position that paid approximately $350 per month, which was about three times what the highest-earning longshoreman earned. 'Industrially the Federation is attempting to work along new lines and I must give the members of the Federation all credit in backing up my proposals and schemes in many cases,' Crombie wrote to a friend in Regina shortly after assuming his new job, 'cases| which may appear to some of the old employers of labor unusual and unconservative.' Although the composition of the Shipping Federation's board of directors changed constantly over the course of the 1920s and 1930s, Crombie remained labour manager throughout this entire period. As a consequence, he played a pivotal role in the organization's shift to welfare capitalism and decasualization. Some considered him the 'King Bee of the Waterfront,' a nick name that captured his heightened stature on the job [after the 1923 strike. 'Major Crombie was the main guy,' longshoreman Harry Walters recollected. 'You had to go to him if you wanted in the union.' Andrew Parnaby, Citizen docker: making a new deal on the Vancouver waterfront, 1919-1939, p. 20. [S205] Newspaper, Times of India, 17 January 1881. Mr. William David Crombie, Maranthona, Longreach, died in Brisbane on February 24, aged 66. A popular grazier of the Central-west for many years, the late Mr. Crombie commenced his pastoral life as a jackeroo on Greenhills and Kensington Downs, which were owned by his relatives. In 1911 he and his three sisters took up Maranthona, a resumption of Greenhills, which had been unselected for some time. Later he acquired the sole rights of the property, and was active in its management until a few months ago. [S205] Newspaper, Queensland Country Life, 10 March 1949. [S90] Scotland, Statutory Register Index Deaths, 1859 CROMBIE, WILLIAM GUILLAN (Statutory registers Deaths 452/ 13). William Macdonald Crombie is also recorded as Mac Crombie. He was born on 12 March 1914 in Brisbane. He was the son of William David Crombie and Janet Wilmina (Mina) Macdonald. William Macdonald Crombie was living at Mooloolaba on 21 August 1980. [S90] Scotland, Statutory Register Index Deaths, Statutory Marriages 644/09 0273. Zébée Maud Jessie Crombie was born on 24 June 1876 in Rangoon, West Bengal, India.1,2 She was the daughter of Lt. Colonel Alexander Crombie CB, MD and Zébée Minto Bell. Zébée Maud Jessie Crombie was christened on 31 July 1876 at Rangoon, West Bengal.1 She married Colonel Evelyn Pierce Sewell C.M.G., D.S.O., M.B., BCh., F.R.C.S., son of Rev. Henry Doyle Sewell M.A. 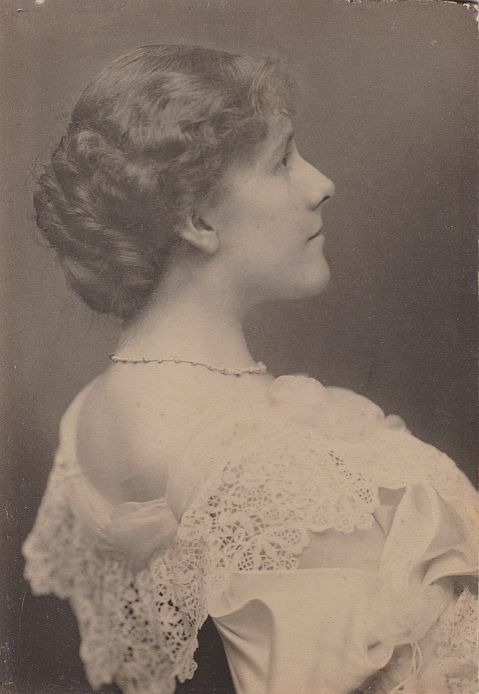 and Edith Pierce Morgan, on 27 November 1903 in the Cathedral, Bombay, India.3 Zébée Maud Jessie Crombie died on 18 March 1960 in Hartley Wintney, Hampshire, at the age of 83. Children of Zébée Maud Jessie Crombie and Colonel Evelyn Pierce Sewell C.M.G., D.S.O., M.B., BCh., F.R.C.S. [S205] Newspaper, Times of India, 10 July 1876. (infant son) Crombie died on 26 June 1844 in Kilminning, Fife.1 He was born on 26 June 1844 in Fife.1 He was the son of David Guillan Crombie and Janet Campbell (Jessie) Webster. [S205] Newspaper, Hereford Journal, September 21, 1842. Engaged in building vessels with James Church, under the firm name of Church & Crooker, and afterward built with his brother, William D., under the firm name of C. & W. D. Crooker, until 1853, when he retired from the activities of business. [S189] Frederick A. Virkus, Abridged Compendium of American Genealogy, Vol. 1 p. 823. "Mrs. Emma D. Sewall, widow of Hon. Arthur Sewall, died Monday morning at her summer home at Small Point where her husband died Sept. 5, 1900. She was stricken Sunday and never regained consciousness. Mrs. Sewall was born in Bath, a daughter of Charles Crooker, Esq., one of the early Bath shipbuilders and was married to Mr. Sewall in 1859. She leaves two sons, Hon. Harold M. Sewall and William D. Sewall, both of Bath." Message Through Time: The Photographs of Emma D. Sewall 1836-1919 by Abbie Sewall, The Harpswell Press, Gardiner, Maine: 1989. [S392] Website findagrave.com (http://www.findagrave.com/) "# 16538979; obituary notice and comment recorded by "Laurie.""